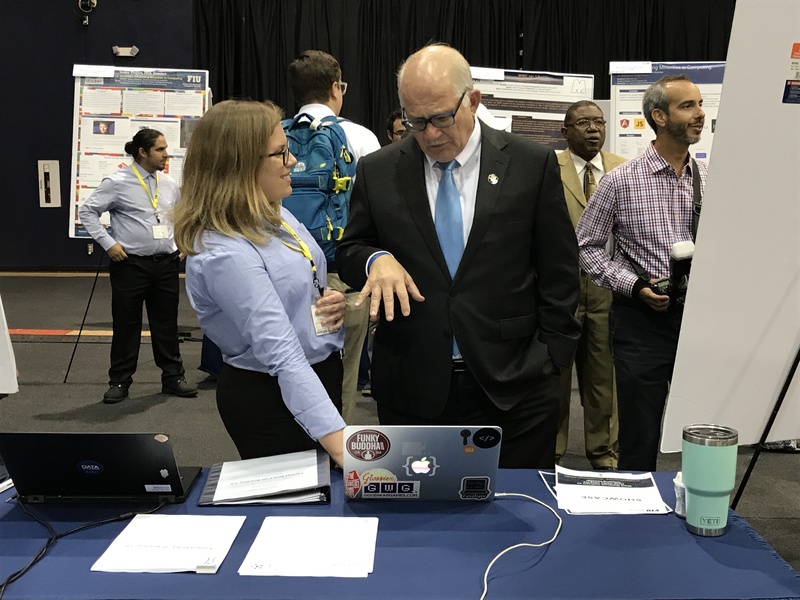 SCIS student Grace Deehl explains virtual roll call project to FIU President Mark B. Rosenberg. Brian Cuadra is sporting a Microsoft t-shirt and making his way down the aisles at the College of Engineering & Computing’s Senior Design Showcase. It’s easy to mistake him for one of the students, but he’s not. Cuadra is a university recruiter for Microsoft and he’s at the showcase looking for fresh talent. 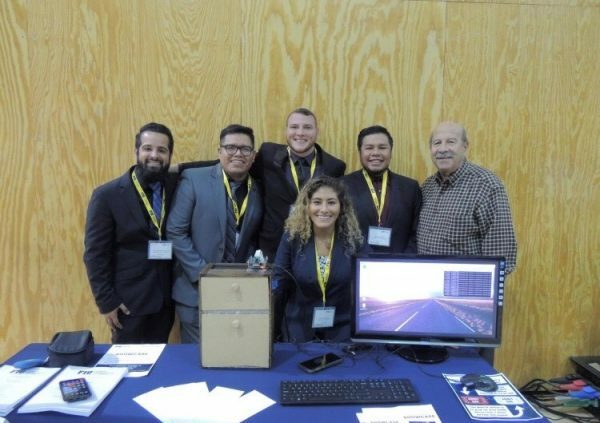 In order to graduate, aspiring engineers at FIU must identify a problem, conceptualize a solution and then present their findings as a group project at the showcase. The event is held each semester; this fall, it featured the work of nearly 500 graduating seniors and hundreds of people from the university, community and industry attended. This is the second showcase for Cuadra, who started intentionally recruiting at FIU two years ago, and since has hired 12 students, and has another 11 prospects in the pipeline. “The most important [qualifications] for us [are] technical skills, a drive for results, collaboration and ‘customer-obsessed’ problem solvers,” Cuadra said. The company mainly recruits a year prior to graduation for positions in software engineering and program management at their headquarters in Redmond, Washington. This year, Cuadra hopes to fill 15-20 spots for next year. While the company does not publicly disclose starting salaries other than to say it’s competitive, they do cover relocation expenses and offer equity and sign-on bonuses. New hires could work on projects ranging from artificial intelligence and cloud computing to gaming and consumer software. Cuadra said they also hire researchers for their team’s products. Julie Palmer — director of people and culture at Suffolk, a construction company specializing in high-end projects including the new Hard Rock guitar-shaped hotel in Hollywood — was also looking for talent at the showcase. “FIU graduates have a good balance of academia and work life. They’re more mature, prepared and present themselves a lot better. They’re more well-rounded in my eyes,” she said. The ability to work as part of a team is also critical for Cuadra, but he says sometimes there’s a gap. “FIU students are very entrepreneurial – they build apps and their own companies, but they need experience on a team,” he explained. For this reason, he highly encourages them to start applying for internships in their early college years to increase their job readiness and overcome this barrier to success. 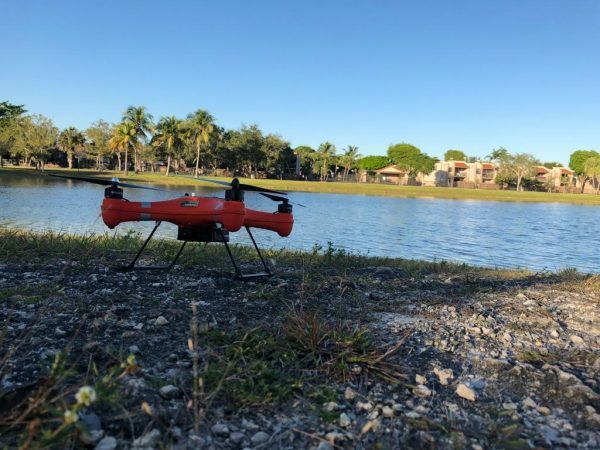 Natalia Coronado, who is graduating with a bachelor’s in computer engineering, was part of a team that created a water quality sampling drone that allows a drone to conduct water testing without the need to take samples to a lab. Coronado, who just completed an internship at Intel in Mountain View, California, agreed that working on a senior design team helped her build skills that were useful throughout her internship. “Senior design has helped me develop my communication, creativity, adaptability and collaboration skills,” she said. Coronado has been hired by Intel full-time. Coronado’s twin sister, Laura, also a computer engineering major, worked on a smart mailbox. The project discourages packages delivered to your home from being stolen by adding an electronic security system. If someone attempts to steal a delivery, the owner receives a notification on their mobile phone along with a photo of the potential thief. Laura Coronado (center) with her smart mailbox teammates and team mentor, professor Gustavo Roig. The project was noticed by Paul Whitney, IT director of new builds and refurbishments at Carnival Cruise Line, who also attended the showcase and likes that FIU trains students for the workforce. Recruitment of students is competitive. Cuadra said his biggest competitors for engineering hires are Facebook and Google. At the showcase, he admitted that most of the promising students he met already had jobs lined up. When asked what is the most important thing he looks for, he said it’s about the culture. “We want ‘learn-it-alls’ versus ‘know-it-alls.’” And of course, they should be customer-obsessed. We thought about doing this at my university. However, the major objection by many in doing so was the concern that companies would steal the students’ ideas rather than hire them. How has FIU overcome this potential problem?